Lenzing Papier is situated at the outflow of lake Attersee. 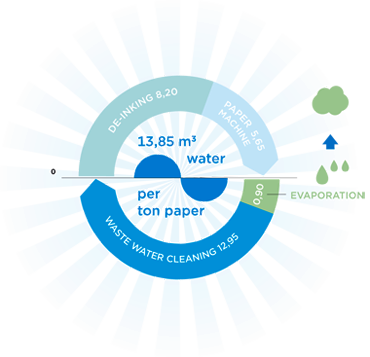 The water quality is drinkable and allows direct use for production. As part of our environmental program we work on continuous reduction of water usage. Within the papermill, pre-treatment with separation of solids and water leads to reduced discharge of effluent into the treatment plant. The waste water plant is highly efficient and comprises of several stages including aerobe and anaerobe treatment before discharging the effluent. 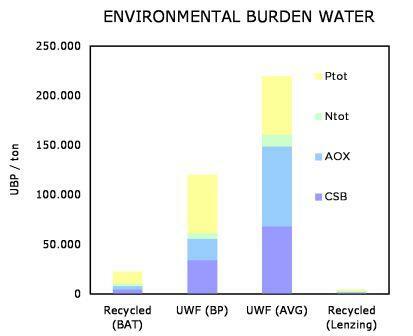 The burden for the river is relatively small, as the cleaning efficiency is very good. As a basis for the valuation, the Swiss method for the assessment of ecological scarceness has been used (ecofactors 2006), Öbu ..“ network for sustainable businesses, Bundesamt für Umwelt (BAFU), Switzerland.